What a great word, shoal. I love it when a lighting designer turns to the natural world for inspiration and that's precisely what Dominic Bromley did when he came up with Shoal. For anyone who's never turned on the Discovery Channel, a shoal is a school of fish in a tightly circling configuration. Dominic Bromley is an industrial designer turned lighting designer for Scabetti in the UK. 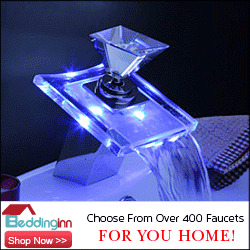 Scabetti specializes in gorgeous, custom household objects and Bromley's responsible for their lighting. 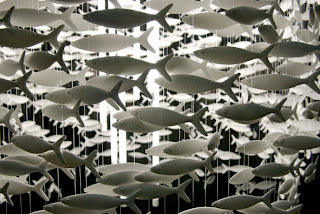 The shoal is made from 284 individually sculpted bone china fish and they circle a tube light. bone china is translucent, so each of the fish in the light fixture glows and casts a shadow. The effect in a room must be stunning. It almost seems unfair to call this a light fixture. What it is more than anything is a sculpture. How green is your project?